This welded steel hanger pendulum has an oilless plastic bushing for long wear on hinge pin bolt. Snap hooks included for easy swing attachment. 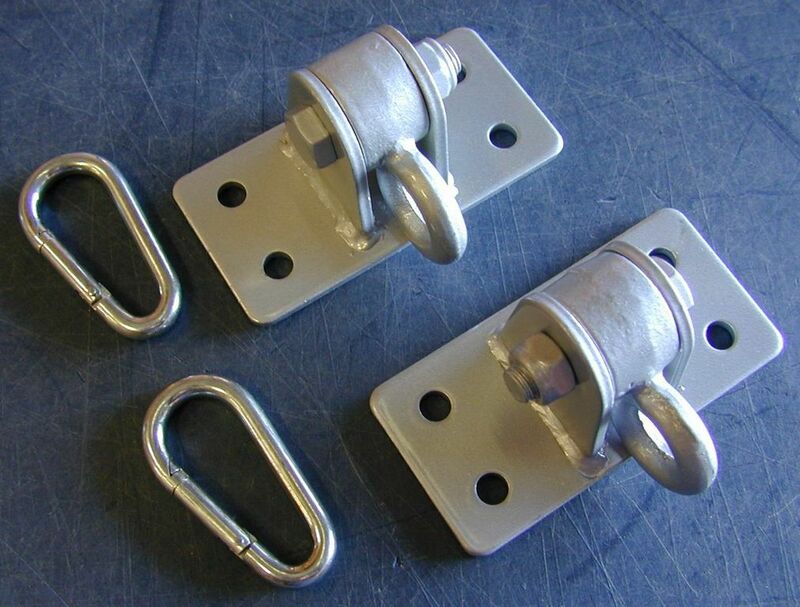 This hanger was designed for use when laminated 2x material is used for overhead beam. 4 hole pattern allows for heavy lag screw or bolt fastening in each board. Can also be used on 4x overhead beam. (Mounting bolts not included).